One of the hottest and best selling Android tablet today is probably the new Asus Google Nexus 7 2013 that was recently released and made available. The 2nd generation Google Nexus 7 is an upgraded and improved version that is built with better display, better features and better specifications compared to the first generation, and compared to other 7-inch Android tablet. Before you decide and get one, check out this article first, because the new Google Nexus 7 has 7 reasons why you should get this tablet. The new Asus Google Nexus 7 2013 edition is now powered by a Qualcomm Snapdragon S4 Pro Quad core processor clocked at 1.5GHz, with 2GB of RAM and Adreno 320 for its graphics processor. This is a significant performance improvement compared to the 1st gen Nexus 7 which is powered by Tegra 3. With these new set of muscle power, running multiple apps, opening multiple web pages, watching movies, playing games, doing multi-tasking and etc is a breeze. The Google Nexus 7 2013 has also an improved display. It’s now a Full HD IPS display with 1200×1920 resolution and 323 pixels per inch density. That’s lots of pixels than any other (7-inch) tablet out there. Usually, only high end smartphones have this kind of display. Expect that your eyes will be spoiled with high definition clarity and crispness. The display is multi-touch up to 10 fingers and is protected by a scratch resistant Corning Gorilla Glass. 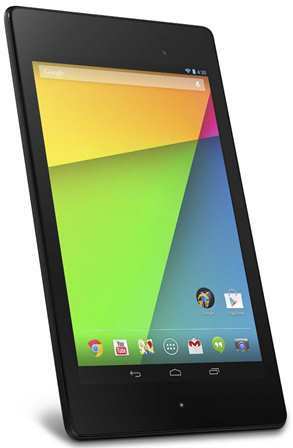 The new Google Nexus 7 runs on Android 2.3 Jelly Bean out of the box. No need to upgrade or install custom ROM. The latest Android 2.3 Jelly Bean contains lots of great features and runs smoothly compared to previous generations. It’s also expected that the new Nexus 7 is upgradable to the upcoming Android 5 Kelly Lime Pie. Don’t you just hate it when the speaker of your tablet sounds flat and boring? The new Google Nexus 7 features a surround sound stereo speakers powered by Frauhofer. This provides a better audio experience while watching movies, listening to music or doing voice/video calls specially when you are not using a good headphone/headset. With the new Google Nexus 7 2013, you don’t have to worry that you will be running out of battery juice easily. With its non-removable Li-Ion 3950 mAh battery, you can enjoy up to 9 hours of video playback or 10 hours of web browsing or reading. Just to be fair, this is not the only tablet with a long battery life, in fact others might have longer battery life. But there’s no need to charge the Nexus 7 2013 with USB wires or power cords because it features wireless charging technology, where you just need to place it on top of a wireless charging pad. This is one pretty convenient feature if you ask me. One of the major deciding factor that affects the decision of every buyer is the price. Luckily the new Google Nexus 7 has an affordable and reasonable price. It’s higher compared to the 1st generation N7, but it’s just right considering the new features and specs built in this tablet. The new Google Nexus 7 2013 WiFi only is priced at $229 only for the 16GB, while the 32GB version is $269 only. The 32GB model is the sweet spot and I would recommend that you get this one if your budget allows you. 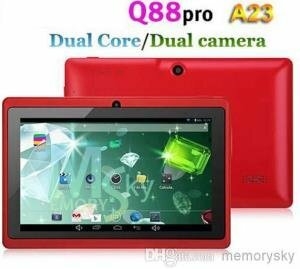 If you compare it with other 7-inch Android tablet, you might find others with similar price or even lower, but you get better set of specs and features with Nexus7 2. And when compared to the iPad mini, with a slightly larger display, the new Nexus 7 2013 edition wins not only in terms of price, but in specs as well. Aside from these reasons, the new Google Nexus 7 is also lighter and slimmer compared to the previous generation. The design is improved and is now easier to handle. Check out the complete specifications below.